I read the instructions for peace water which are, "walking backward, you sprinkle drops of Peace Water at the four outside corners of the house or in the four corners of each room. For a really strong job, you can circle the house, sprinkling as you go, or sprinkle on the four corners of a larger piece of property." So overall, I need to walk backward. Does anybody know/has experience of whether Peace Water stains carpets? I am planning to do home protection work and Peace Water is one of the ingredients I will use. Test a small part of your carpet...like in a closet or something that wont be seen. Peace water does contain, so it could stain some fabrics. It would be best to test an easily hidden area of each carpet/fabric you expect to come in contact with the Peace water prior to use. That way, you won't be worrying about stains when you're doing your work; you want to be fully focused on your intent. It is a brand new home and I don't want to ruin anything, and I may not be allowed to test anything anyways. 1) I can sprinkle the four corners of the house (main property), but does this include sprinkling the corners of the backyard? 2) How does it work for houses that have a backyard but are not enclosed in a fence at the front? Regardless, I can't do the entire walking backwards because the left side of the house has a fence, not a gate; can't go through it. Thus, I can't circle it completely. The right side does have a fence with a gate though. I will use fiery wall of protection powder and oil. I adore Peace Water and I really want to sprinkle this at the end after the floor wash. Or at least, add a last finishing touch to the house. Gate or no gate...sprinkle it in the four corners of the yard. A gate doesn't matter in this case. Thanks for the interest. Please do know that English is not my native language, thus I am not sure if I explained the structure of the house correctly. You mentioned I can sprinkle the four corners of the yard and the yard starts with the gate, which begins from the middle and extends to the back of the house. But what about the non-encircled front portion of the house? Isn't the purpose to encircle the entire house? Edited: I kept googling luckymojo and found a page on house blessing spiritual supplies. Here one must bury each coin at the four corners of the house. How would this work with the house structure? In my recent LM order, I got a bottle of Peace Water. As I was sorting through my materials, today, the cap was loose on the bottle and a smidge of it had gotten on my bedspread. I wiped down the bottle and the excess from my bedspread, tightened the cap, and forgot all about it. Later that day, I was working on some things in that same room, and I couldn't get over how serene I felt. My job is extremely stressful, so moments of serenity like that are amazingly rare, so I took note. I just felt so calm and relaxed. I thought maybe I'd finally snapped. It wasn't until I was out later this evening that I remembered that I'd actually spilled a little peace water in that room. I don't know what you do to that stuff, LM, but that's just crazy. Makes me want to pipe it into the pool at the UN. Extremely effective (the Peace Water, I mean, not my stupid UN pool idea). Peace Water is definitely a good product, it calms you, in this case, I am sure you are glad that you 'accidentally' felt the affects. I thought I remember Cat telling someone on one of the podcasts to anoint the doors and windows with x's or crosses I can't remember (that's part of the question) in all of the corners of the windows and doorways with peace water? or was it peace oil, so that no one could astrally or spiritually come into the house? I need that kinda protection...but couldn't remember if it was the oil or the water ..please say water cause that's what I bought...should have listened to it again..to make sure...but I got into a buying frenzy...oh well...please say water!!!!! thanks for the reply...I read the link, but it didn't say anything about anointing the windows and the doorways...maybe you do that with the oil??? You can also shake up the Peace Water, put it in a spritzer, and spritz it around the doors and windows. And X or a + is up to you; the + is Christian, the X more African. Either will do. when taking an herbal bath you're supposed to take a sweet bath just as many times as you took the herbal bath or that's just what I heard...A is this true and can I use the peace water in the sweet bath...I thought it would be a nice touch since I was trying to get rid of a curse...????? blackcateyes wrote: when taking an herbal bath you're supposed to take a sweet bath just as many times as you took the herbal bath or that's just what I heard...A is this true and can I use the peace water in the sweet bath...I thought it would be a nice touch since I was trying to get rid of a curse...????? If by "sweet bath" you mean a sugar or honey bathnd by "herbal bath" you mean a 13 Herb Bath for uncrossing, no, that is not necessary to take the same number of each type of bath. People make up silly rules, but that one has no tradition behind it at all. It is just someone trying to act authoritative. Likewise a bath to draw in good things to yourself need not be preceded by a round of cleansing baths at all, unless you feel cursed (as you do). In that case, you would take them after the full round of cleansing baths usually. Peace Water could be added to such a bath, if the aim was to draw peacefulness to yourself. Turnsteel wrote: Peace Water could be added to such a bath, if the aim was to draw peacefulness to yourself. Heck yea...that's the idea of it...some doesn't everybody want a little peace in their life...after I Chinese Washed the walls I Peace water washed the walls and anointed all of the windows...took cats advice but applied it to the chinese wash as I had just gotten some bedding from a downstiars neighbor and wanted to clean it....of course what was truelly dirty went in the washer but the rest got the spritz ...will have to get a dollar store spray bottle for the peace water to keep up the good vibes in the house!!!! I have been wanting to share this little tidbit since the Holidays, but was reluctant, due to the topic and the content (about my own family) but it is funny, and it is about Peace Water. There is a Hollywood movie about being home for the holidays, and not only is it funny but in some ways it mirrors similarities that happen in many homes when families get together, including my own during the Holiday season. This year, I thought I am not going through this drama again (lol! ), even though a lot of it is funny just like the movie. I sprayed Peace Water everywhere at "the family home" where the relatives come together...and there was Peace! So, unless your family is "Stepford", try Peace Water the next time you all get together! Triplethreat wrote: I have been wanting to share this little tidbit since the Holidays, but was reluctant, due to the topic and the content (about my own family) but it is funny, and it is about Peace Water. So, unless your family is "Stepford", try Peace Water the next time you all get together! Loved the "stepford" part...don't be embarrassed or reluctant...hey we all have f-uped families...or at least most of us do...ya know...join the club! Peace Water is great I'm really glad I bought it ...and it has kept the peace for the most part around here...only one small fight ....and that's cause I think it's wearing off by now and I need another round...! Loved the reponse Blackcateyes thanks! Peace Water smells so good too, and is also very calming. I'm not embarrassed, (just proud, protective and caring about what's mine) in fact, I figure many of you might be going through some of them same, and the inspiration came from what many can relate to . I also thought it might help many of us here in The Forum the next time everyone in their Family gets together, however small or big that family number might be. there is thankfully,-- Peace Water. 1) So you only have to walk backward when you circle around the property? What about when you sprinkle 4 corners of the house/room? Do you have to walk backward from corner to corner??? 2) What if I want to "bring" peace with me everywhere? Is it possible that I can wash my hand with it and have the same effect on myself and anybody I come to contact with? 1) If you’re using Peace Water as is mentioned in the link, then yes, sprinkle as you walk backwards around the property and from corner to corner: of the house, of a room, etc. 2) Peace Water is an emulsion, meaning it contains unblendable liquids: think vinaigrette. I not would personally use it to wash my hands, but it would make a great addition to a spiritual bath in smaller quantities. The Tranquility line of products (http://www.luckymojo.com/products-tranquility.html), particularly the bath crystals or sachet powder might be what you’re looking for. Triplethreat wrote: Loved the reponse Blackcateyes thanks! Peace Water smells so good too, and is also very calming. I have put some peace water in a spray and used it at the door, and in the four corners of my workplace, also at the public computers since a lot of our troublesome customers seem to be pc users! 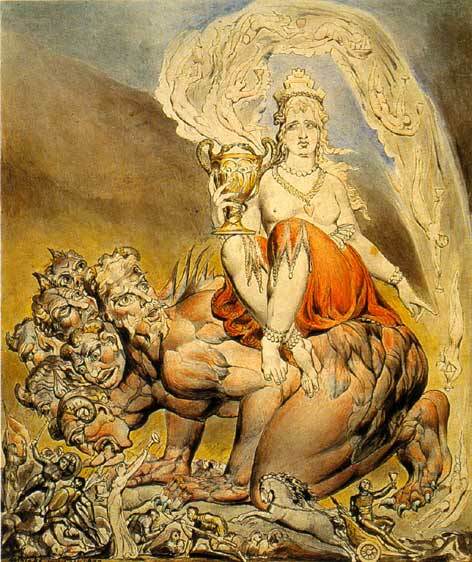 I also use Cast Off Evil oil, some drops at the entrance over which everyone coming into the library must pass, oh, as well as praying to St Michael as I walk round the building. Hope this helps. Thanks for the advice!!! I have some cast off evil oil. praying to St Michael is something everyone has been suggesting lately ..just acquired a candle called Mano Poderosa or Powerful Hand...am looking forward to burning it!!! ??? Dilute peace water ??? Ok, I know that Chinese wash is to be diluted. When I use the Peace Water I plan to put in a spritzer bottle. Do i dilute or not. Trying to determine how much i will need! 4oz does not seem like a lot if it's not to be diluted ! Re: ??? Dilute peace water ??? I wouldn't dilute it; just use a little less. Sprinkle instead of spray. I personally would not dilute Peace Water too much... maybe a tiny bit if I were using it as a sneaky trick in an office setting, but I would keep the Peace Water as "whole" as possible. Take Mama Micki's advice...you just dribble/sprinkle the water where you need it. A little goes a long way... If you put it into a spritzer bottle, find one that is of a smaller size and has a shorter "spritz" area, like they sell at aromatherapy or herbal shops. No need to coat the area in a wet film! No. And if you need more get 3 bottles. This is one of my favorite products. I have to be honest - I don't really like the smell of Peace Water, so I would personally go for the option that uses as little as possible. It's true that different products will appeal more or less to one's individual scent-palate. The good thing is, there's always some options so you can find what works best for you! Do you like the fragrance of Peaceful Home more than Peace Water? If so put some powder on the floor or carpet. I love the smell of Peace Water! Love it!!! I love Peace Water, but since it has an oily component, diluting it with pure water would disrupt the balance of its components. I think a few drops would be sufficient, especially in the corners of the room. Peace Water is the very popular two-part wash which we make and sell. It consists of two layers in one bottle. I've just received my first bottle of Peace Water. Here in France this is not very familiar (at all actually). I just CANNOT believe how good this smells, I mean it's just WOW!!!!! The PEACE WATER is amazing! i've never had something smelling so good! Thank you! I was decanting my Peace Water into atomizers, a travel perfume atomizer for my bag and a larger one to keep at home. I had an idea for what to do with the residue in the bottle - I filled the empty bottle with water and watered my plant with it. Basically it amounted to just a miniscule amount of Peace Water in with the plant's regular water. This plant is in my home office and room where I do my candles, spiritual supplies, etc. I don't know what's in PW but I can't imagine it would harm the plant in such a tiny amount, and I feel like the plant will then be breathing the essence of the Peace Water as it oxygenates my room. I just received the Peace Water in my LM order today. It smells, well, peaceful. I'm looking forward to using it! I have a quick question that I hope someone can answer. 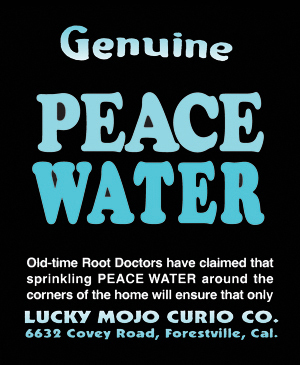 I own some Lucky Mojo Peace Water and I thoroughly love it. I read the instructions on the website, and I am curious to know what the traditional/spiritual significance of walking backwards is? I have walked backwards when sprinkling Peace Water and I do feel that it's efficacious, but now I'm just curious about its origin? Is it just more powerful to walk backwards based on the experience of several rootworkers in the past or is there a specific reason for walking backwards (i.e. a reference in the bible)? Is it best to walk backwards clockwise or counterclockwise? Thank you. I do know that one of the reasons for walking backwards while laying roots gives a clear path for the target to walk over. A nice, clean path with all the workings just for the target ( like rolling out a red carpet!!)! AS far as the ritualistic symbolism, I was always taught that it's a symbolic invitation (like saying: "Come here"). If there's any other reasons, I just don't know and we'll have to wait and see if other root workers can answer this. AlyssaH: It is so nice to hear just how the Peace Water is helping your situation. Keeping calm and level-headed in very delicate situations (such as the one you illustrate above) can be a valuable ally. Best of luck and keep it up! What will happen is that will feel a difference. You'll feel lighter. Then, when things start feeling a little heavy again (and that all depends on the individual conditions), then you just use it again (according to the directions). The peace water really smells wonderful. I am concerned about one thing though. If you have bay leafs and other herbs sprinkled in the four corners of the room, would sprinkling peace water on them affect their potency?